Brendan Rodgers' contract was terminated an hour after Liverpool's draw with Everton. When the news came, it was almost with a sense of relief. Since Liverpool’s loss to Aston Villa in the FA Cup semi-final in April, Brendan Rodgers’ departure from Liverpool has felt inevitable. His reign has been far from perfect but the sense is that he is the victim of football’s insatiable yearning for change, the soap opera’s need for fresh storylines. Timing in such matters is always intriguing. An international break, of course is an ideal time to oust a manager because it gives two weeks for the new man to be installed, but with Jose Mourinho coming under pressure at Chelsea, Liverpool perhaps felt the need to act now before other clubs complicated the picture. Jurgen Klopp, the former Borussia Dortmund manager, has indicated he is willing to break his sabbatical and that he would favor a move to the Premier League; understandably he is the strong favorite to be appointed. 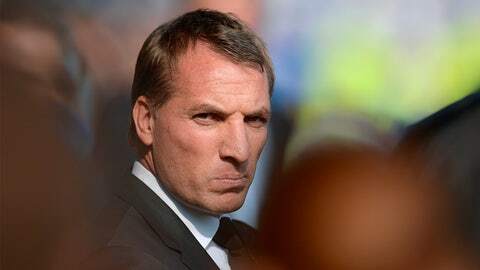 Rodgers clung on at the end of last season by jettisoning two coaches, Colin Pascoe and Mike Marsh, but it would have taken a remarkable start to this season for the pressure on him not to become intolerable. As it was, Liverpool began this season much as they started last, fiddling about to find a way to play with a host of new players. After eight games last season they had 13 points; this season eight games have brought 12 points. There is even an argument that Liverpool have played better football this season than last, dominating games without taking opportunities: five of their last six matches have finished in 1-1 draws. Perhaps there was a feeling of stagnation, at least in the sense that forward momentum had been halted, but that is at least as much the fault of football’s economics as it is of Rodgers. Every season, he has seen his best player plucked away by wealthier clubs, and that has meant that each summer has been one of rebuilding. In his first season, trying to play the patient, possession-based game that had served him so well at Swansea, Rodgers led Liverpool to seventh. The next season, with Luis Suarez and Daniel Sturridge in tandem and Raheem Sterling emerging, he switched to a more dynamic, direct style and was almost rewarded wit the league title. Rodgers, you fear, will be forever haunted by the 2-0 defeat at Anfield against Chelsea, the game of Steven Gerrard’s slip. A draw that would have left Liverpool still in control of the title race but they allowed itself to be rattled by Chelsea’s spoiling. Perhaps Rodgers was naïve, perhaps he should have settled for a grim goalless draw, but he chased the game and Liverpool lost. Still, second that season was a remarkable achievement. Liverpool had played thrilling football, had reawakened the fervor of the Kop and, more than that, had threatened to overthrow the economic hegemony of Chelsea, Manchester City and Manchester United. Rodgers had offered the possibility of success which, in the end, was perhaps part of his undoing. With Suarez sold, Liverpool could never live up to those standards, particularly with Sturridge injured for most of the following season. Liverpool produced one golden passage of 13 games unbeaten, but it was bookended by mediocrity and they finished sixth. Defeat in the Cup semi-final against Villa erased any hope of a trophy. Worse was the manner of the defeat; Rodgers, it appeared, was tactically outwitted by Tim Sherwood. Being gung-ho when chasing the title was forgivable, but this cast a real doubt over his abilities. The club finished the season sixth, which was regarded as a huge disappointment. Yet Liverpool’s average position over the past three seasons was fifth; they had the fifth-highest wage bill in the Premier League in that time. In that sense Rodgers performed exactly to par; it just felt worse because he had seemed to suggest that it was possible to transcend economic circumstance. And perhaps Rodgers didn’t help himself; with his reliance on sub-Dale Carnegie business-speak almost everything he did had, for some, the gleam of snake oil. His self-belief was prodigious and there were times when he seemed to take the messianic aspect of his role rather too earnestly — as, for instance, in the excruciating clip when he told his players he’d placed three names of people he thought would let him down in an envelope and urged them not to be on that list. But those are details used against a man when the momentum has turned against him; when results were good, Rodgers’ quirks seemed part of his genius. The line between inspirational and preposterous is often thin. His downfall was, more than anything, the result of Liverpool’s self-perception as a club. It is the most successful English club in history in terms of European titles won, and the second most in terms of league titles, and so understandably their fans aspire to more that living on the outskirts of Champions league qualification. But the economic reality is that those suburbs are when it now resides — and that is a tension with which whoever replaces him will have to deal. It may, in truth, never be entirely reconcilable.